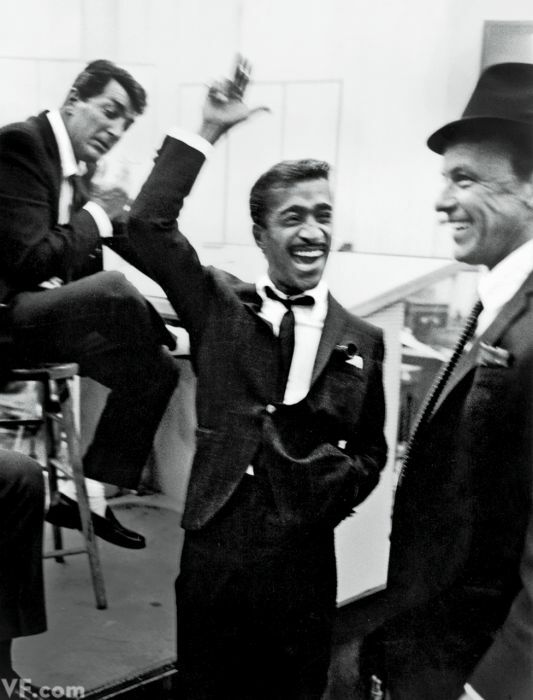 18 Fun Facts about Sammy Davis Jr. If he were alive today, Sammy Davis, Jr. would be 91 years old. Born December 8, 1925, SDJ was a powerhouse entertainer. A skilled dancer, singer, performer, and impersonator, SDJ got his start on the vaudeville stage and worked his way up to the stages of Broadway and The Capitol Theatre. A beloved friend of Frank Sinatra, John F. Kennedy, and many more influential people of the time, SDJ was a strong advocate for black rights and Jewish rights. He financially supported the Civil Rights movement and even challenged marriage laws by marrying a white Swedish model during a time when interracial marriage was banned in 31 states. As a tried and true Sinatra fan, I’m well aware of SDJ and consider him to be one of the most amazing performers of this century. I mean, just take a listen to “Candy Man” or “What Kind of Fool Am I?” and try not to have all the feels. Awarded and nominated for several awards over the course of his career, SDJ held his own in various films, TV shows, and Broadway runs. He’s won a Tony Award, Grammy Awards, and has been nominated for several others. Of course, the road to success is paved with potholes. 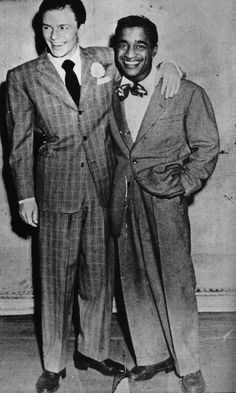 SDJ’s path to stardom was a bumpy one, and despite his immense popularity and support from big names like Sinatra and Kennedy, he still was a victim of racism and prejudice. But through it all, SDJ turned to music as his outlet. He recorded several records over the course of his life and even had a Billboard #1 Hit with the song, “Candy Man”. A few years ago I read In Black and White: The Life of Sammy Davis, Jr. by Wil Haygood and fell even deeper in love with SDJ. An amazing biography that digs deep into a troubled and complicated life, In Black and White is a must-read for anyone interested in learning more about this amazing entertainer. For those looking for a reader’s digest version, here are a few fun facts about Sammy Davis Jr. and the amazing life he led. 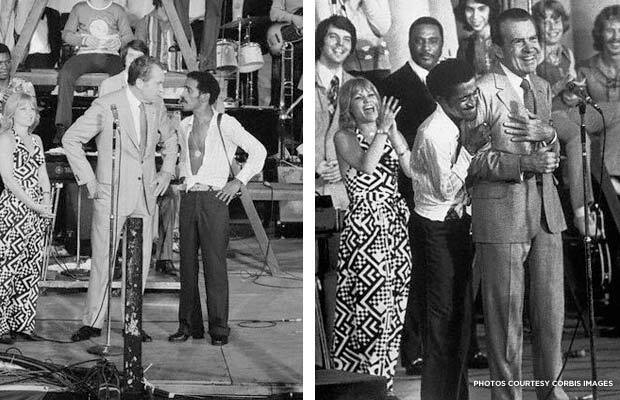 Sammy Davis Jr. got his start performing on vaudeville stages with his parents. Both his mom and dad were dancers with the Will Mastin Troupe. 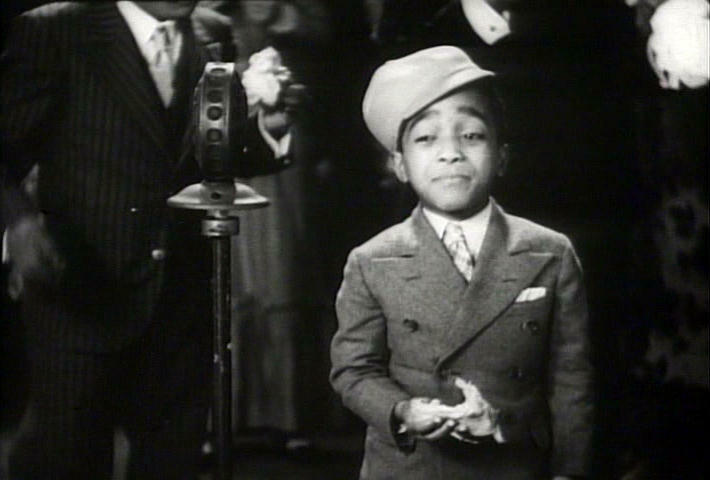 In 1928, when SDJ was only three years old, he joined the Troupe as its youngest member. After his parents split up, SDJ went to live with his father. They continued performing together until SDJ was drafted into the army in 1943. During his service, he experienced horrendous racial prejudice that his father had previously protected him from. He was harassed and abused by white soldiers and even suffered a broken nose after a fight with his fellow servicemen. After the war, SDJ continued performing with the Will Mastin Trio (previously Troupe). His career took off in 1947 when he and his Trio opened for Frank Sinatra at the Capitol Theatre in New York. On November 19, 1954, SDJ nearly lost his life in an automobile accident in the California desert. The accident shattered his face and cost him his left eye. While in the hospital, he spent hours discussing philosophy with a rabbi on staff. Shortly thereafter, SDJ converted to Judaism. Contrary to what some may think, the accident acted as a catalyst in SDJ’s career. A year after his brush with death, he released two top-selling albums and booked several headlining performances in Las Vegas and New York. He appeared in several TV shows and films, including Porgy and Bess and The Frank Sinatra Show, and starred in the 1956 Broadway hit, Mr. Wonderful. By 1960, SDJ was a star in his own right. He has a massive following, was a proud member of the legendary Rat Pack (along with Frank Sinatra, Dean Martin, Peter Lawford, and Joey Bishop), and was a staple in the Las Vegas and Los Angeles night club scenes. Throughout the 50’s and 60’s, SDJ continued making records and was the first artist to be signed on the Reprise label, launched by his life-long friend, Frank Sinatra. SDJ was nominated for a Record of the Year Grammy for the heartbreaking song, “What Kind of Fool Am I?”, a song which reached the Top 20 of the Billboard pop charts and remains one of his most popular songs to date. His life stage work continued to shine as well, and in 1964 he received a Tony Award nomination for his performance in the musical, Golden Boy. In terms of social activism, SDJ was a powerhouse. At the height of his career, SDJ refused to perform at any club that practiced racial segregation, leading to the integration of several venues in Miami Beach and Las Vegas. 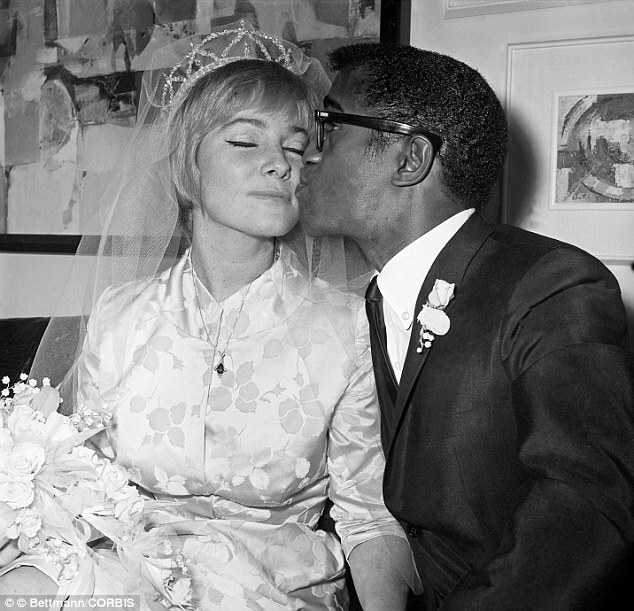 He also challenged the bigotry of the era by marrying Swedish actress May Britt at a time when interracial marriages were forbidden by law in 31 states. SDJ was a large financial supporter of the Civil Rights movement; however, he had a very complex relationship with the black community, drawing criticism after physically embracing and endorsing President Richard Nixon in 1972. During that same year, SDJ finally got his #1 chart hit with the song, “Candy Man”. He continued to release records and appear in films throughout the 70’s and 80’s. His career finally took a massive hit in 1989, when doctors discovered a tumor in this throat. SDJ underwent painful radiation therapy, but eventually succumbed to throat cancer on May 16, 1990, at the age of 64. A gifted performer and entertainer, SDJ was awarded a prestigious Kennedy Center Medal for Career Achievement in 1987 and was awarded the Grammy Lifetime Achievement Award posthumously in 2001. His song “What Kind of Fool Am I?” was also inducted into the Grammy Hall of Fame in 2002. Throughout the course of his career, SDJ was nominated for three Grammy Awards, five Emmy Awards (winning in 1990 for Outstanding Variety, Music or Comedy for Sammy Davis Jr.’s 60th Anniversary Celebration) and won one Tony Award for Best Actor in Golden Boy in 1965. He was also awarded the NAACP Spingarn Medal Award, the NATAS Special Citation Award, and was nominated for a Golden Globe in 1977 for his work in Sammy and Company. He stared in or appeared in more than 60 films, TV shows, and specials and was in four stage productions on Broadway. You can also see SDJ’s star on the Hollywood Walk of Fame at 6254 Hollywood Blvd.